Two essential language references in one volume 60,000 alphabetical dictionary entries integrated with 13,500 thesaurus entries including extensive synonym lists. 500 new thesaurus entries cover new vocabulary. Clear and concise word guidance including abundant example phrases. Based on the best-selling Merriam-Webster's Collegiate® Dictionary. Manufacturer: MERRIAM - WEBSTER INC. Brand: MERRIAM - WEBSTER INC. Publisher: MERRIAM - WEBSTER INC. 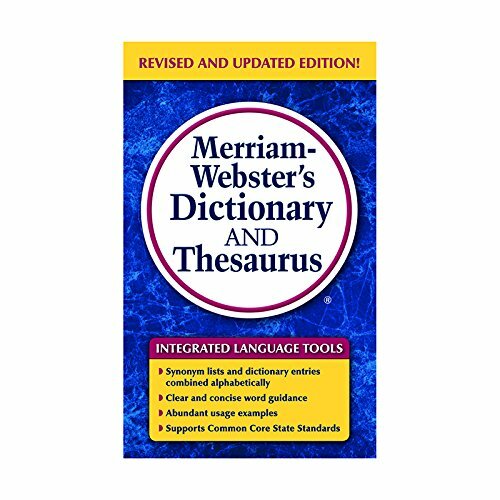 Studio: MERRIAM - WEBSTER INC.
View More In Electronic Dictionaries, Thesauri & Translators. If you have any questions about this product by MERRIAM - WEBSTER INC., contact us by completing and submitting the form below. If you are looking for a specif part number, please include it with your message.